… knowing that I can get to the top. 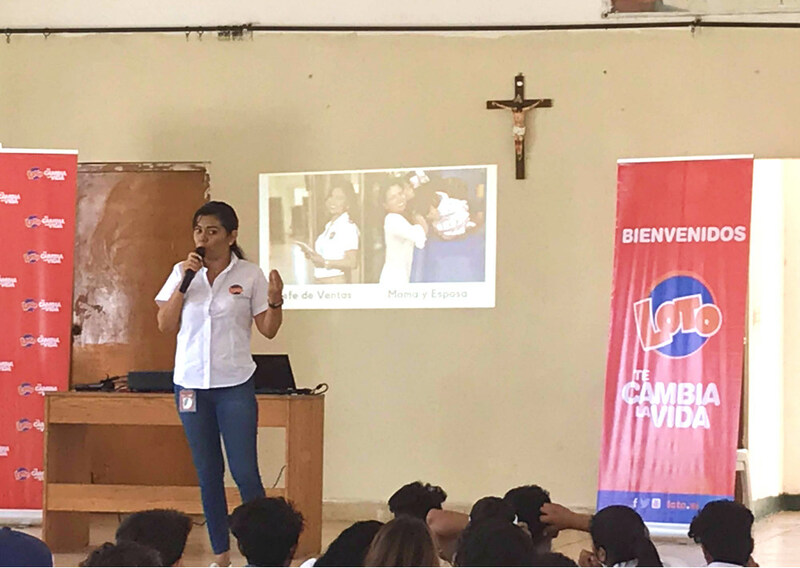 That was the main message conveyed to by Laura Ramirez, Head of Sales of LOTO Nicaragua, to students from 3rd to 5th year of SAT in San Isidro de Bolas. In 2018, LOTO supported 13 Fabretto students of this educational center with scholarships to study in the SAT program. This year, they have also organized a series of talks once a month, in which LOTO volunteers will share their educational and professional experience with the students. But life is not about achieving a goal and being content with that one achievement. It is important to create new goals and to continuously go back to the summit. “Every year I reach the top of the mountain and I go back down because all the time, I’m thinking about ways to improve; how to be a better professional, a better person, a better colleague. Reaching the top is about looking back to see what else you need to improve, going back down to the foot of the mountain and then back up again.” Laura’s testimony is truly a great example for our students. The goal of these talks is to teach students, through these testimonies, that there is a world of possibilities in the professional realm. That, for example, a person who studied Marketing won’t only have access to one type of job, but rather a great variety of jobs to choose from. These talks will surely help our students think outside the box and discover a career path about which they can be excited. Thank you, Laura and LOTO volunteers!